The most important part of home ownership is taking care of and properly maintaining your automatic garage doors. Properly maintaining your garage door means checking off a few tasks every month, a few times a year and every year. This post will look at what you should be doing to maintain your garage doors. This maintenance not only keeps problems at bay, but can extend the life of your garage door and it’s parts. Having an automatic garage door is an investment in your home, and ensuring it lasts as long as possible means you’ll get the most out of your purchase. While any homeowner can perform this maintenance, we of course recommend a licensed professional do them, so it’s done right and saves you money in the long run. Prevention is cheaper than repair! Call us today for a free quote to learn more! Every month, take a few minutes and look at your tracks. Wipe them down and look for any objects that might be in the way. Also be on the look out for any dents or bumps. These things can cause your door to go off track. If you see any debris or gunk on the tracks, clean and remove this as well. To clean your tracks, use a damp cloth and make sure to dry them well before you’re done. The purpose of weather sealant for your garage doors is to protect your garage from cold air and moisture. If you take your hand and run it along the seal, you can check for tears or cracks in the sealant. You should do this at least 4 times a year. A good rule of thumb and reminder is to check it once each season. Not only is it a good reminder, but temperature changes can cause damage to the sealant, so season changes are a prime time for issues to crop up. If you notice that your garage door is making a lot of noise when it opens or closes, or if it isn’t gliding very smoothly, you might need to lubricate it. 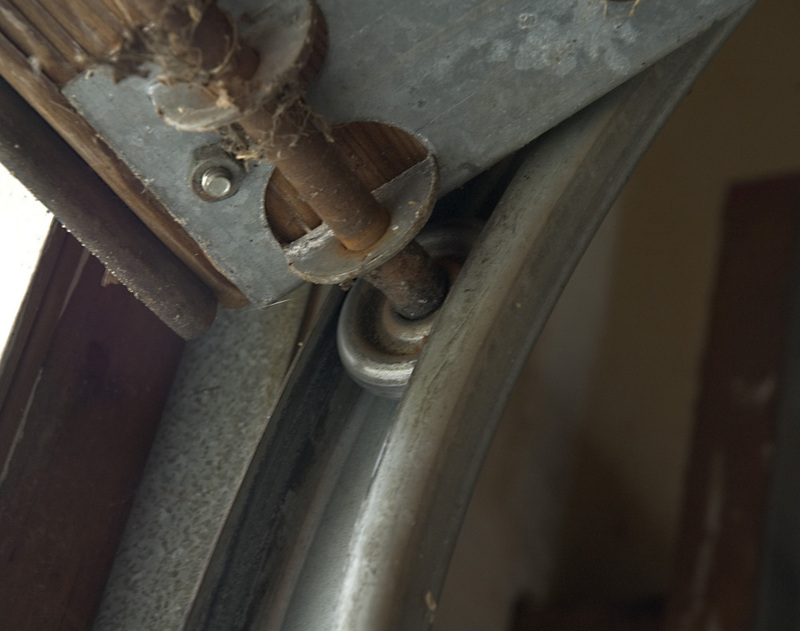 Many homeowners use WD40 to lubricate their doors, which is a mistake! A silicone or lithium garage door spray is the best choice for garage door lubricant. It costs a little more than WD40 but silicone or lithium are better in the long run for your garage door, and work better. When spraying the lubricant, spray only the arm bar, the chain rail, on the hinges and on metal rollers with ball bearings. Make sure you do not spray the chain, the springs, or on the bottom of the chain rail. Why maintain your garage doors? Garage doors are a big investment. Anything that costs money means taking care of it properly. It isn’t hard to perform this monthly, quarterly and yearly checks of your garage doors, or to schedule a quick maintenance of your door every quarter with your local garage door company. Give Gr8 garage door a call today to set up a maintenance plan!